NEWS for President-elect (2014-2015), Voting time! Young Investigator Awards (YIA) of SFRR Asia 2013 Deadline is extended! Young Investigator Awards (YIA) of SFRR Asia 2011 Apply now! Young Investigator Awards (YIA) of SFRR Asia 2010 Apply now! 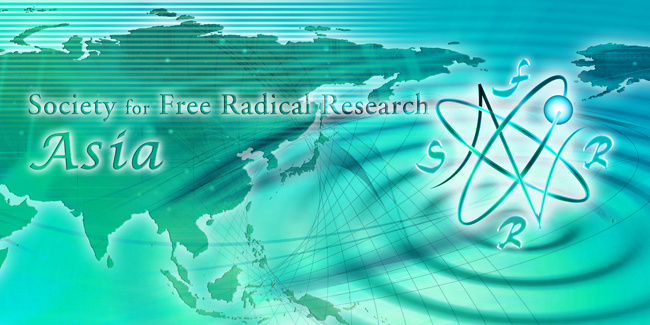 Now the members of SFRR Asia can subscribe Free Radical Research on-line at a special reduced price. Please go to the Homepage of Free Radical Research for details.